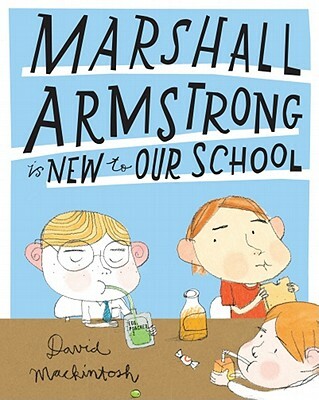 Marshall Armstrong is new to school and definitely stands out from the crowd, with his pale skin, perpetual hats, and special “space food” lunches that come in silver wrappers. He doesn't play sports, and he doesn't watch television. So when he invites everyone in class over for his birthday party, it's sure to be a disaster. Or is it? Marshall Armstrong might have a trick or two up his long, “sun protective” sleeve. David Mackintosh's story, with its bold design and sharply humorous observations, is a highly original take on the popular theme of the difficulties of being the new kid and making friends.